27th. 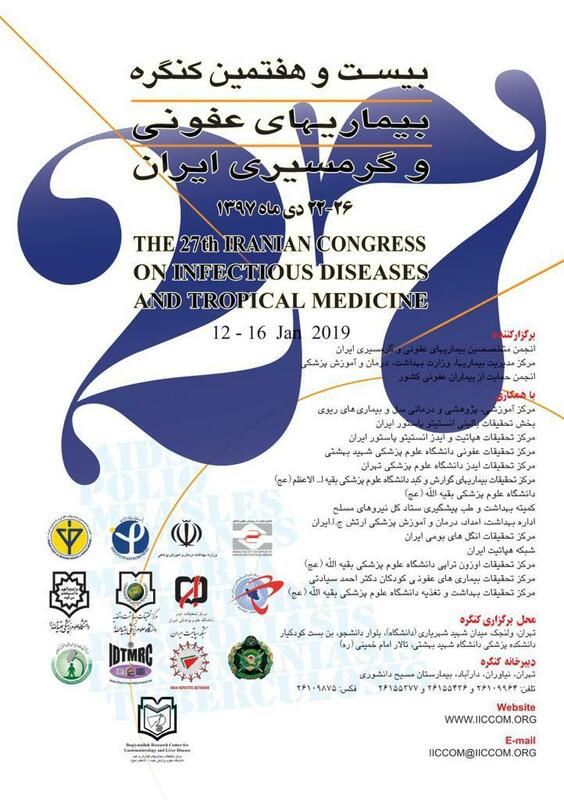 Iranian Congress on Infectious Diseases and Tropical Medicine will be held in Shahid Beheshti University of Medical Sciences and Health Services on January 12th 2019 thru January 16th 2019. You may find more information on the right section anytime it is available. © Copyright IICCOM.org. All Rights Reserved.